A/n: this won't be long post. dun ask me where i got the background. but for me, i know how. and for those who know, DO NOT STEAL!!!!! i almost die doing it and you steal for free??? if you steal it, i make sure that you won't live happily after that! so sleepy already. haha. till next time, guys. okay, i know there's too many spider webs in here! oh god! okay, i don't have time now! just get to the point okay?? well, as you know (if you know), we Cassies are so busy on voting for TVXQ for the MNET Asian Music Award!!! 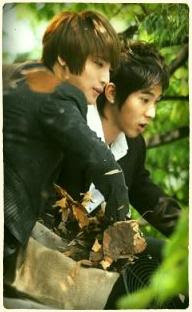 i don't want to look pathetic but, can i ask you to help us, Cassies to vote for TVXQ?? PLEASE??? PLEASE HELP US??? CAN YOU??? THANKS for those who wanna help us! you can go HERE to vote! please??? vote for TVXQ please? just for 4 categories! the rest, you can vote other artist that you may like. well, i know this may sounds kinda rude, but we NEED TO DEFEAT Super Junior! don't say that i didn't love SuJu! i love them! but... the first priority here is TVXQ! if i'm telling you the way of me voting for them, you may say that i'm crazy. but for you, just vote them once a day is enough for us! Please Vote For TVXQ! if not for TVXQ, just do it for me can?? ?